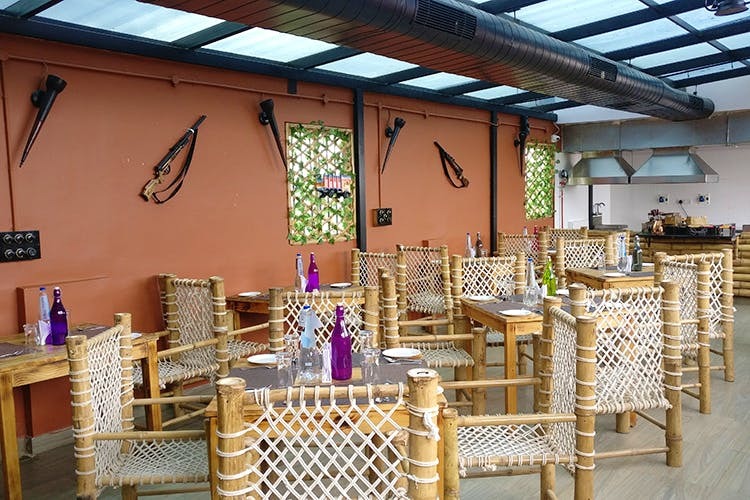 If you’re a Bollywood fan, and more specifically a Sholay fan, then you should definitely hit up the new Sholay - The Barbeque on New BEL Road. It is super filmy and gave us all the feels. The interiors of the restaurant are decked out with different props from the movie such as the Enfield bike (minus the sidecar), the dacoit rifles, the lanterns which makes it look like a straight out of the film set. They also have cane chair seating, which gives it the vintage Highway Dhaba look. From what we know, the menu is mainly Indian, comprising of both vegetarian and non-vegetarian options, including sea food grill. We are looking forward to try the Grilled Lamb Chops and the Broccoli and Pineapple Barbeque.